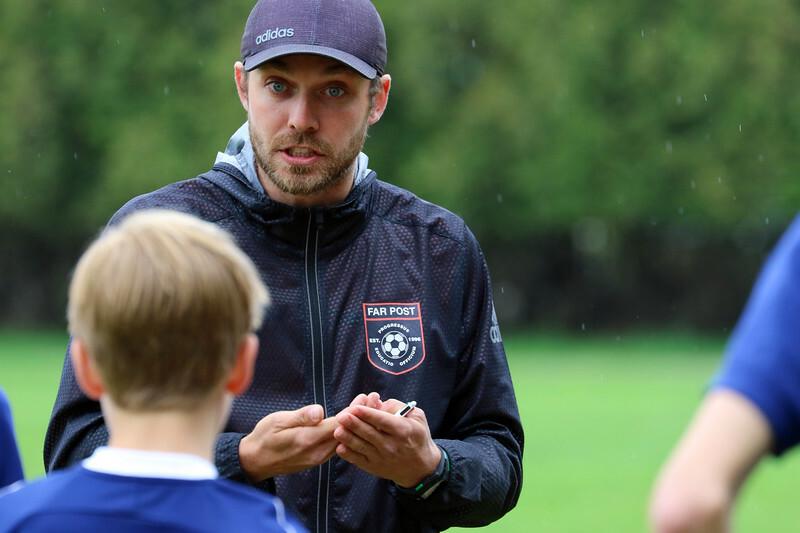 New Coaching Structure for 2018/19 | Far Post Soccer Club, Inc.
Far Post is instituting a clubwide Director of Coaching model in order to add consistency to our player education and curriculum across the age groups. While this new structure may not be visible on a daily basis, it will impact the approach that each age group takes towards the long-term development of every player within Far Post Soccer Club. We believe that creating a shared pathway and educating our players through consistent messaging is essential to long term growth. Our players should be able to play for different coaches, age groups, on club or premier, all while maintaining a similar style of play, tactical/technical terminology, and club values. Todd Kingsbury will be maintaining his role as the U10 Director of Coaching. Todd will introduce our young players to Far Post's core values, our style of play based on technical excellence, and the club's basic tactical ideas. All of this will be done while fostering a love for the beautiful game. Gene Smith will be serving as our U11-12 Director of Coaching. Gene will be focusing on helping players develop their technical foundation while improving their tactical decision-making. Furthermore, he will be working to develop specific technical skills that will be needed for the transition to 11v11 play. Brad Cole will be working as the ​U13-16 Director of Coaching. While the players in this age grouping will face different challenges--U13's transitioning to 11v11, U14's preparing for the Holland trip, and U15/16's acclimating to being a high school athlete--their pathway and instruction will be the same. All players within these age groups will develop knowledge of the different roles for each player within multiple systems of play and the necessary technical skills to fulfill these roles. ​Sam Alden will serve as the U17-U19 Director of Coaching. Sam ​will be tasked with developing a comprehensive training curriculum and competitive schedule that prepares our oldest players and teams to compete at the highest level. He will do this while developing a hard-working and competitive mentality at this important age. Sam will work closely with Head of College Search Adam Pfeifer to ensure that our players have the exposure and ability to continue playing at the collegiate level if they choose to.